This post discusses the reasons that your city council meetings might be lacking in attendance. It also addresses some possible solutions. It's part of our series on local government live streaming. Whether you're a council member, public information officer, or engaged citizen, you may have noticed a decline in the number of seats filled at your weekly public meetings. Your local government isn’t alone in this struggle – low attendance is a regular concern of municipalities across the country. As a part of my job, I’ve attended council meetings in various cities and have witnessed the problem firsthand. I’ve even shown up only to realize that I was the only non-government employee in attendance. However, I’ve also had the opportunity to talk to residents. Time and time again, they’ve made it clear that they care about what’s going on in the community, but just can’t make it to council meetings in person. There was a time when most people worked 9 to 5 jobs, came home, and filled their evenings with community and social events. Weekly schedules included regular events and activities. The American city council meeting was built to serve people with this lifestyle. However, the 9 to 5 lifestyle is no longer the norm. People work all hours of the day. They travel more. They have more outside-of-work activities. With so many things pulling them in different directions, people are prevented from dedicating an evening to their city hall to hear about community happenings. Even for the people willing to carve out time to attend meetings, there are obstacles that prevent them from being there. Consider your resident-base. Are transportation concerns ever an influencing factor? How often do people get sick? Do people ever take vacations? The fact of the matter is that, no matter how dedicated someone might be to community affairs, there are still things that keep them from attending your meetings in person. By demanding your residents’ physical presence, you keep them from fully participating every time they want to. When you confine your public meetings to one physical space at one moment of time, you fail to reach, engage, and achieve transparency with your full community. Suppose that your residents are able to find an hour or so in their busy schedules each week to attend a public meeting. Unfortunately, many municipalities have meetings that can regularly run anywhere from two to five hours. The reality is that your residents don’t have time for that. If they care about an issue that won’t be brought up until hour three, what’s the point in even going? And it’s always uncomfortable to walk out of a meeting while it’s still going on. How Can You Address the Issue? Your residents have made it clear that they care about the issues that affect them. They want to be involved, but often feel excluded because they can’t drop their other commitments in order to attend council meetings. To address this issue head-on, many municipalities around the country are starting to live stream their meetings. Doing so lets residents tune in live from wherever are. 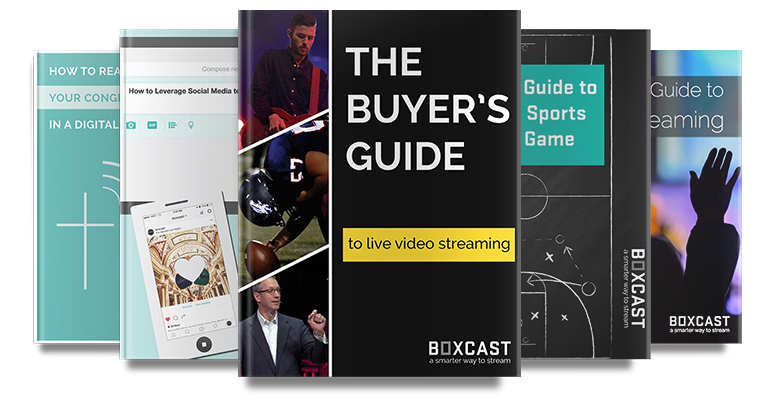 And if they’re busy at the time of the event, BoxCast will automatically record every broadcast and make it available online immediately after your event is over. Over and over again, live streaming has proven itself to be a powerful tool to drive community awareness and civic engagement. Learn more about why your municipality should be streaming here.